Tom was a successful school player winning three premierships in a row for Brisbane Grammar school, and the last one while he was Tennis Captain. While juggling school and tennis he was able to reach 215 in the world for juniors. He won 2 singles titles in Bangladesh and Brunei and two doubles titles in Bangladesh and Fiji. While playing juniors he was also able to compete at the junior Australian open in 2013. Having once qualified for a mens professional tournament in 2013 he now wishes to regularly compete on the pro circuit in 2014. After finishing school in 2013 he is now a full time tennis player and his goals for 2014 are to be in the top 1ooo in the world for singles and to gain a full scholarship to a top 50 division 1 American college, in August. Tom has been training at the Lutwyche courts since he was 2 years old. His main coach is Charlie Fancutt along with the guidance of his family being Daphne, Trevor, Michael and his father Chris. 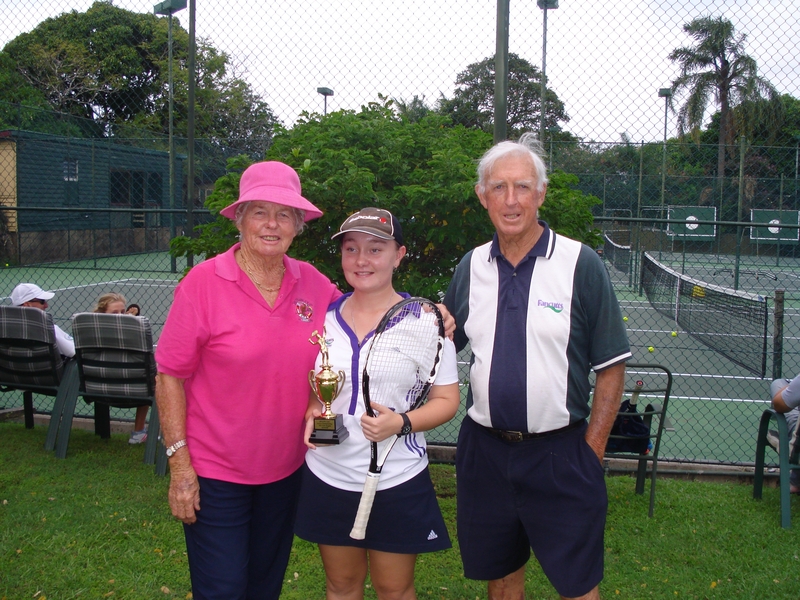 Kate Taylor-Doran was excited when she won the Pro One 16 & U Girls Singles at Runaway Bay in February 2013. Kate Finished School at Kedron in 2013 and now is aiming for a schlorship in the US. Kate has been training at Fancutt’s since she was 8 years old. Mrs. Daphne Fancutt has instilled in Kate excellent all court tennis play and many important qualities such as handling pressure in game points and good tennis etiquette. She hopes to gain a scholarship to a US College to further her tennis and academic aspirations.